In context: Mixed reality combines elements of virtual reality with augmented reality. Microsoft has been insisting everybody refer to the HoloLens as mixed-reality glasses, but if you want to be technical, they are really just AR glasses. During the Oculus Connect 5 keynote today, the company revealed its vision of what mixed reality should be, and I have to say, it was more true to the definition of MR than Microsoft’s concept. In a demo (starting at 0:21:18 below), Andrew Bosworth, Facebook's head of AR and VR, donned an early version of the Oculus Quest, its upcoming follow-up to the Oculus Go. As he looked around, the Quest rendered the room with a sketch or rotoscope-like feel in real-time. Everything was stable. The furniture stayed where it was supposed to be without floating as Bosworth looked around. One would think it was only using a sketch filter over live video, but it was presumably a fully rendered layout of the room being the Quest has no cameras — only sensors. It was a bit like what I would imagine bat vision to be like. The concept is intriguing in that it allows you to be more immersed in your MR environment. That is to say; you won’t feel like you are watching a Roger Rabbit spinoff as you view and manipulate CG objects on a live background. The environment, while real, will still be computer-generated. The one drawback is the lack of detail. Since the environment is drawn from data sent by the sensors, fine details like the letters on a keyboard or features of a face are lost. However, the demo was just a prototype. Developers may discover a trick or two before full implementation. Another cool thing showed off in the demo was a transition from mixed to virtual reality. As Bosworth moved about the room, a portal opened, and he stepped through to a virtual area where he was able to chat with co-workers. It was surreal, like stepping through a portal in — well, Valve's Portal. The demo was far too short, and the technology is still in early development, but it looks quite promising. 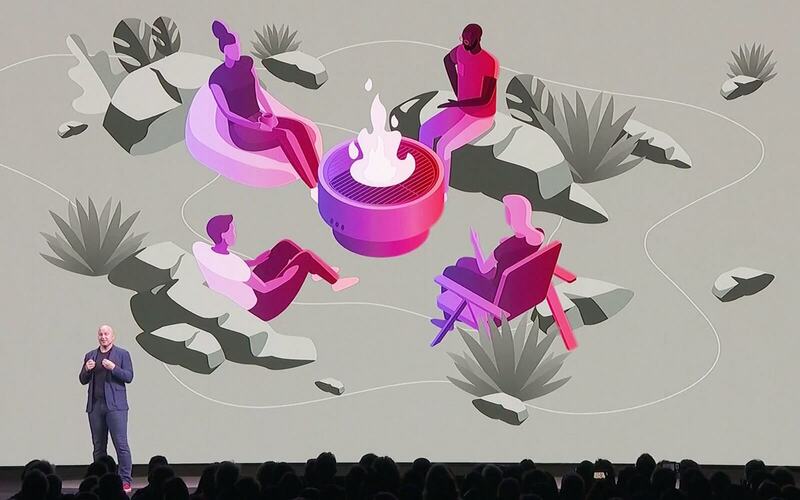 Now that Oculus seems to be focused on the untethered experience, it makes sense to have a way to move around your environment without removing your headset. Its concept of genuine mixed reality is a novel and exciting approach.